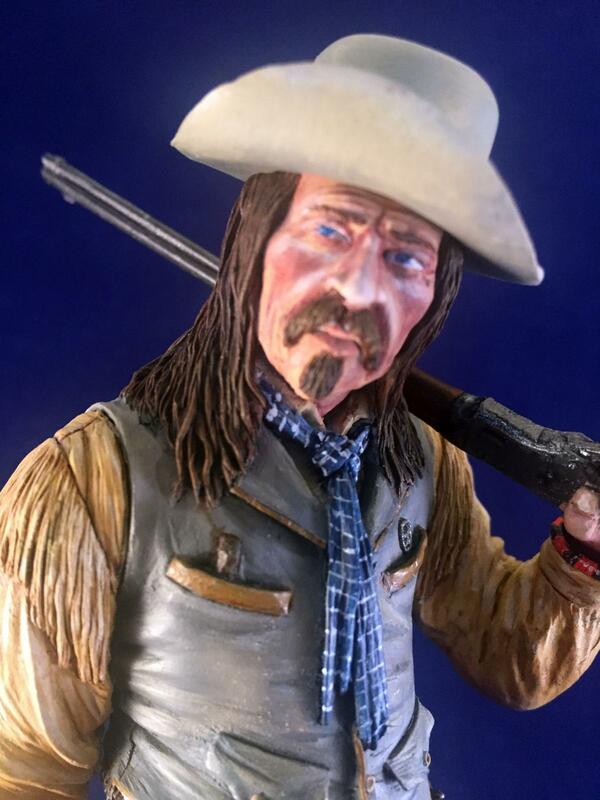 Here is Thunderbird Miniatures' 1/10 scale bust of Texas Jack Vermillion as sculpted by Carl Reid. 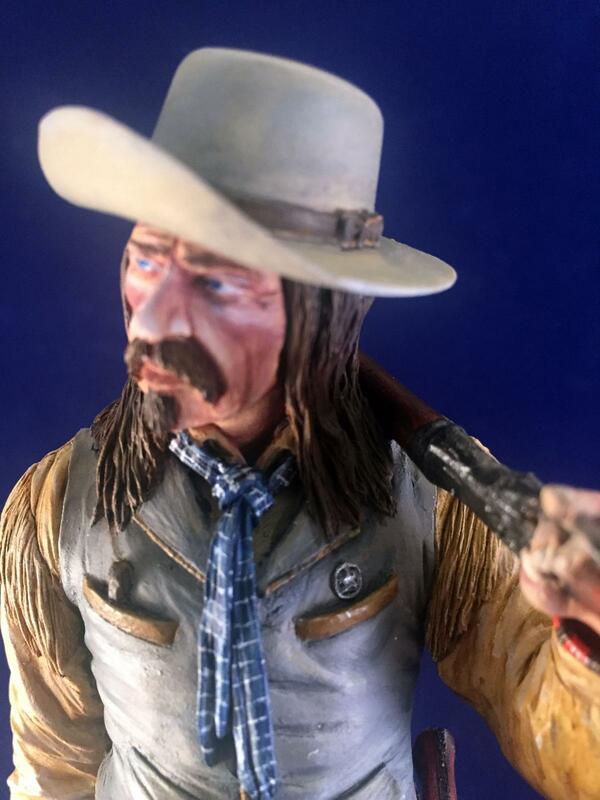 The bust is based on Texas Jack as portrayed by Peter Sherayko in the movie TOMBSTONE with Kurt Russell and Val Kilmer. 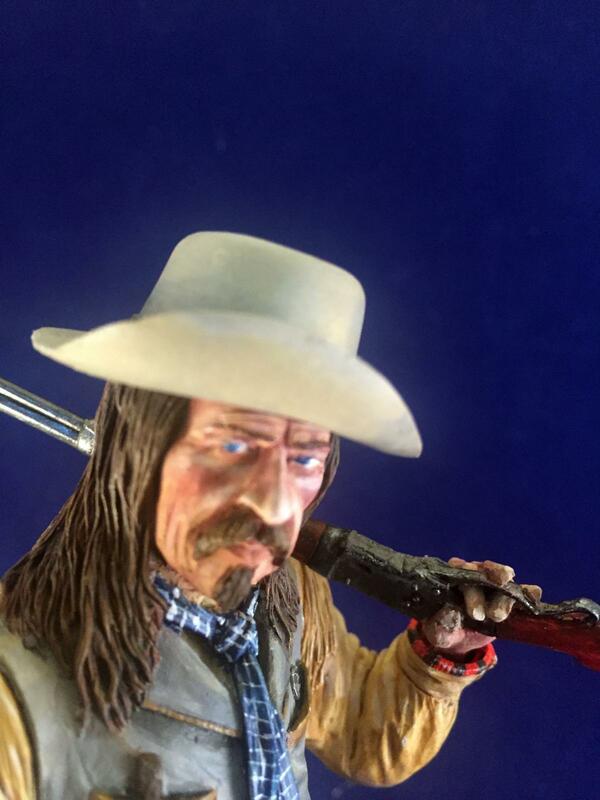 The bust is painted in Vallejo acrylics with the Scale 75 Flesh set for skin tones. The base is from Birch Tree Enterprises of Freeport LI, NY and the name plate from Dinn Bros. of West Springfield MA. The pose is based on the scene in the movie where Wyatt Earp has just eliminated one of his adversaries and his posse is standing with him. 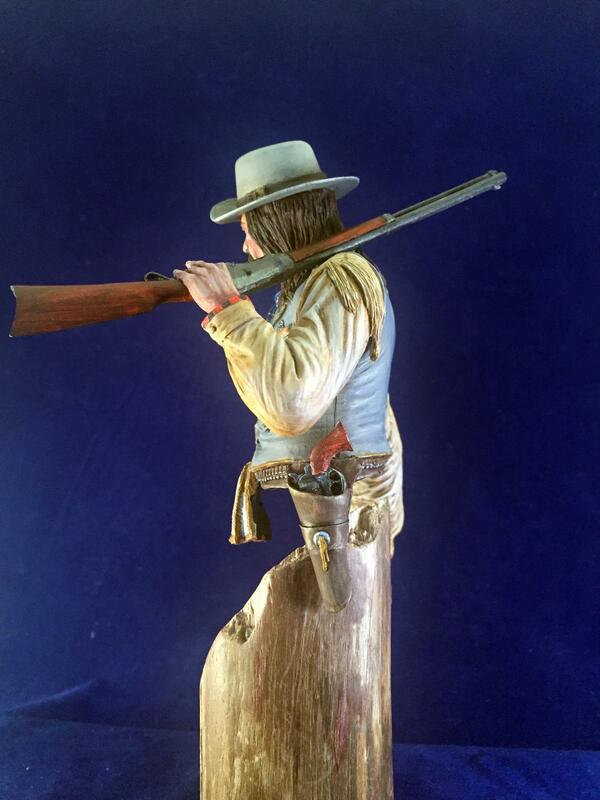 The gun is a Kennedy Whitney rifle from the same company that made the cotton gin. 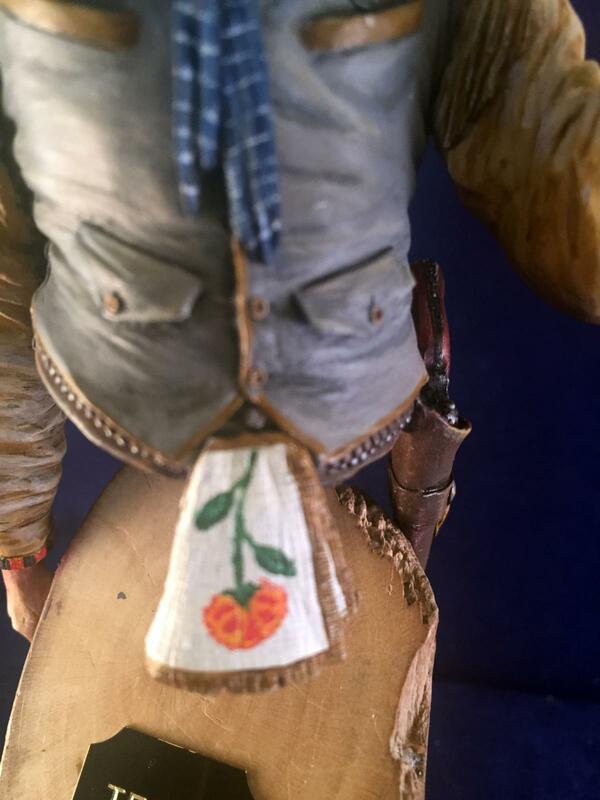 The character in the movie is usually seen with his beaded gauntlets in his belt as depicted in the sculpt. 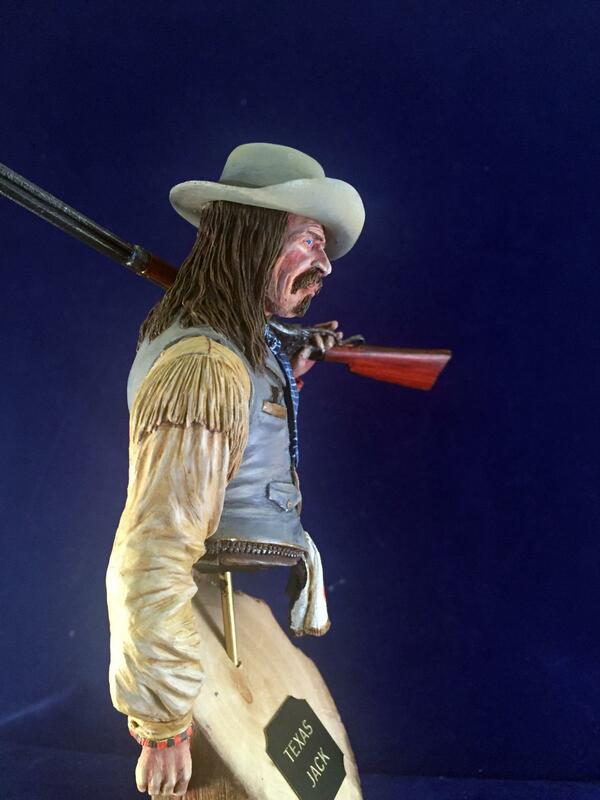 Texas Jack was a real persona and accompanied Wyatt on his Vengeance Ride to hunt down the assailants of his brothers, Virgil and Morgan. According to internet sources, Texas Jack rode with J.E.B. Stuart in the Virginia Cavalry during the Civil War. Supposedly, when asked why he was known as "Texas Jack," he replied, "Because I'm from Virginia,"
Cool! 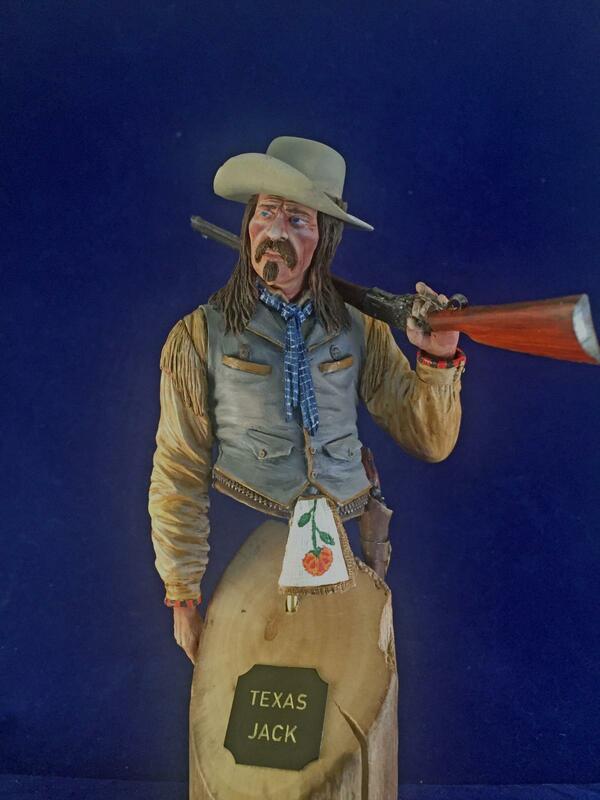 Texas Jack is a distant relative of mine; my mother's maiden name was Vermillion. Excellent figure! You have the eye for tiny details and then pull them out with your painting. No details look "slopped over" with paint from an adjacent surface or material. His scarf is a work of art. What a magnificent piece Al! You've captured his essence well in the face. I truly love how metallic the gun looks and the scarf is a work of art in itself! You've really brought this to life; I hope to someday see this in person, possibly at a Nationals.